Recently Hon’ble Prime Minister revealed 12 initiatives for the growth of the micro, small and medium enterprises (MSME) sector. This included a digital platform for MSMEs to avail loans upto 1 crore in an hour or less. This initiative is expected to shorten the complicated loan approval process and aims at promoting digitisation of procedures. The loan amount permissible is between Rs 10 lakh and Rs 1 crore. The rate of interest is 8% and above. Following initial approval, the loan amount will be given in 7-8 working days. There is no payment to be made for registration. However, a charge of Rs 1000 (taxes not included) will be levied as a convenience charge for using the portal. An added benefit for small industries is that collateral is not compulsory under the CGTMSE Scheme. · Bank details: A PDF format of a six month bank statement has to be provided. · Electronic KYC: A digitized version needs to be uploaded. · Income tax info: Income tax returns for three years, income tax codes, e-filing details and GST details are also needed. You have to start by going to the official website, www.psbloansin59minutes.com. First sign up on the portal using your name, email-id and mobile number. Having done this, click on “Get OTP” button at the bottom of the page. Type the OTP sent to your number into the given space. Tick the ‘I agree’, box then you may proceed. On the next page you must enter GST details (number, username and password). Again you have the choice of entering tax returns in XML format or login with your ITR details. You may choose to upload the bank statement or log in using net-banking credentials. This is your preference. 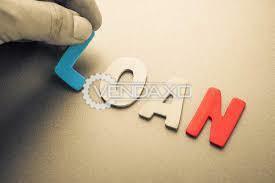 The user has to provide the purpose of obtaining a loan in this category. The penultimate step is selecting the bank that you want the loan to be processed from. Finally, pay the convenience fee of Rs 1,000 (taxes not included). Once the fee is paid, you can download your approval letter. The online process is completed.